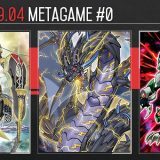 Welcome to Week #4 of the OCG 2016.10 format. 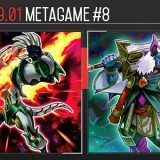 Zoodiac continues on its dominant streak and seizes an even larger portion of the metagame. Infernoid rose from the void, spreading its madness across the competitive scene. 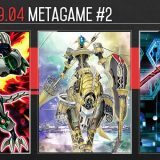 This report will cover 47 top-performing decks from 8 Japanese tournaments that were held during 22 – 23 October 2016. 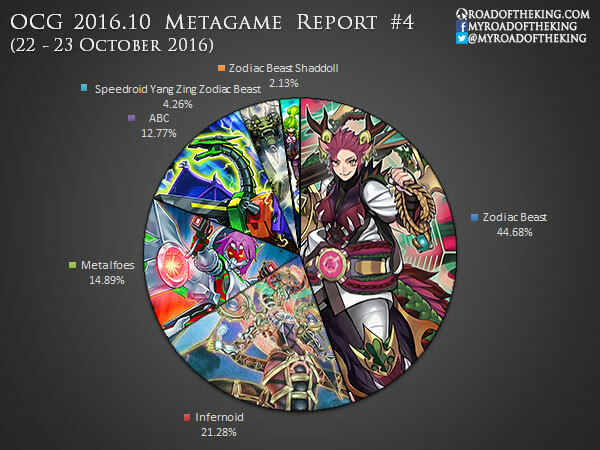 Not only is Zoodiac the most played deck across various tournaments, they also perform extremely well with multiple top finishes. 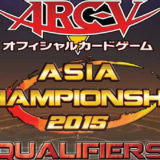 The current popular trend against Zoodiac is to run Torrential Tribute or Lightning Vortex in the Side Deck. 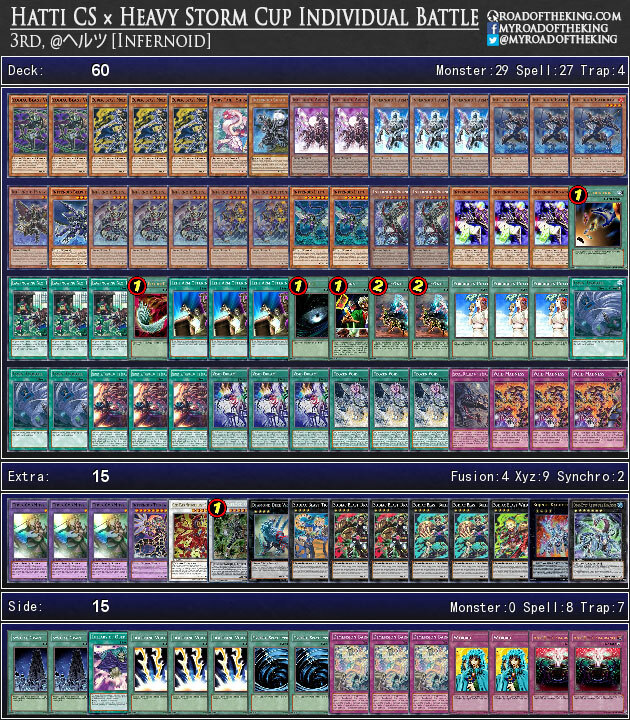 As a counteract, Zoodiac players are siding in Starlight Road and Stardust Dragon. 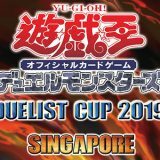 Starlight Road is amazing against Torrential Tribute and Lightning Vortex, as well as various Main Deck removals such as Dark Hole, Harpie’s Feather Duster and Twin Twisters. Raging Tempest gave Infernoid a great boost with Lawnmowing Next Door and Void Madness, making it a strong contender in the competitive scene. In a 60-card deck, Lawnmowing Next Door would often mill around 20 cards, giving Infernoid plenty of resources in the graveyard. Left Arm Offering improves the odds of opening with Lawnmowing Next Door. Void Vanishment is much more flexible now, being able to search for Void Imagination or Void Madness accordingly. 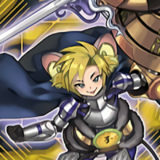 Zoodiac can also be played to Special Summon Bujintei Kagutsuchi and mill 5 cards, while still having a Zoodiac Drident for removal. 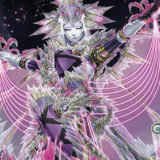 To combat Infernoid, players are starting to include Chaos Hunter and Different Dimension Ground in their Side Deck. 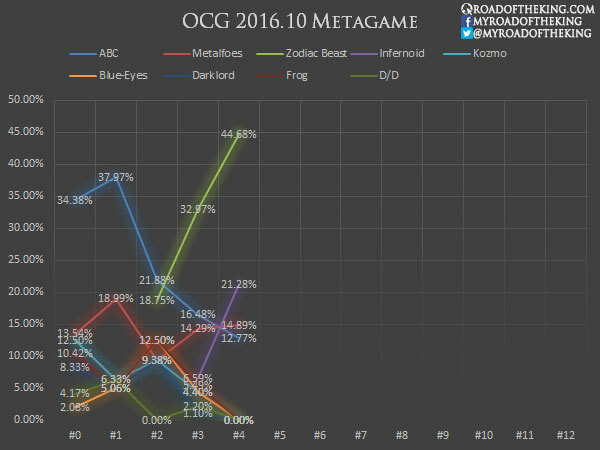 Zoodiac is in a strong lead, while Infernoid came in second, ahead of ABC and Metalfoes. 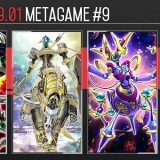 Despite ABC and Metalfoes are now having a much smaller showing, their presence still warrants the inclusion of System Down and Anti-Spell Fragrance in the Side Deck. 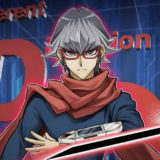 In your opinion, what are the main causes of Kozmo underperforming in the OCG, which is a large departure from their high tier status in the TCG? The OCG has Harpie’s Feather Duster, which is really good against Card of Demise builds. We have Cosmic Cyclone before Kozmo’s debut, so getting rid of Kozmotown wasn’t an issue. 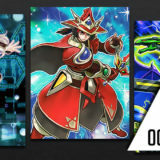 It’s also worth nothing that Kozmo was always considered to be one of the weaker “high tier” TCG decks, so I’m not surprised it’s underperforming in the OCG. 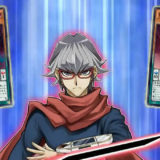 The primary reason is that Emergency Teleport was limited in the OCG before Kozmos arrived. Like ABCs, Kozmos can’t really do anything without their normal summon and they will usually lose. Harpie’s Feather Duster doesn’t actually have that big of an impact since it’s not searchable and is semi-limited. 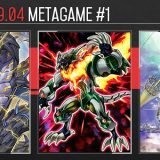 well, in https://ygorganization.com/ocg-10312016-ocg-japan-and-taiwan-decklists/ kozmo appears 6 times (counting zodiac beast kozmo), it’s the 5th deck in that page. 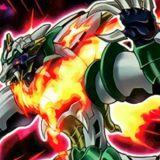 Out of curiosity, can you post or do an article concerning the Zodiac Beast Yang Zing Speedroid engine. Alright. Let me look into it, but no promises. Cheers! Speedroid Yang Zing Zodiac Beast is largely based on using Elemental Triangle of the Zodiac Beasts to destroy a Yang Zing monster, resulting in Zodiac Beast Marmorat and Chiwen, Light of the Yang Zing. From there you would do the Zodiac Beast combo to get more Marmorat, before Synchro Summoning Denglong, First of the Yang Zing. 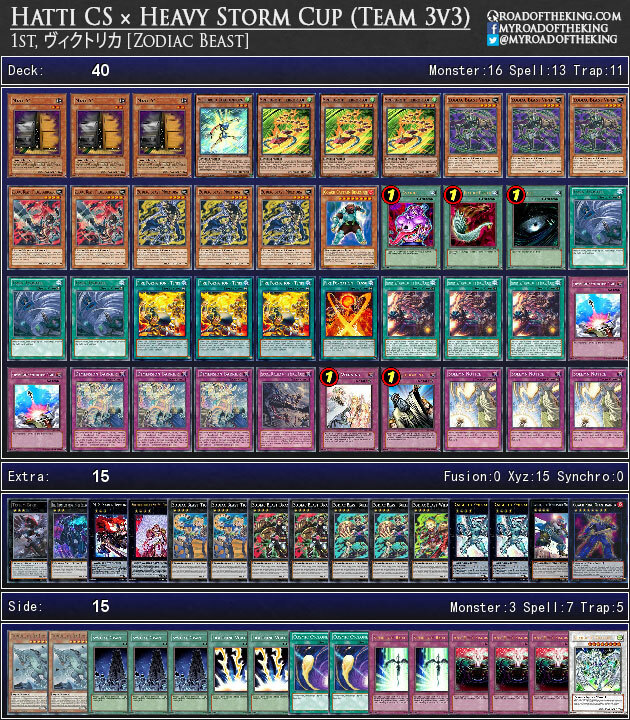 Here 2 combos to showcase what the deck can do: Combo 1, Combo 2. Thanks for the update! It’s so surreal to see ABC drop from first to fourth place after just two weeks. 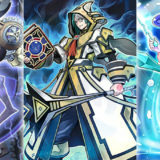 Do you think OCG players will eventually drop Bearman completely in Zodiac Beasts, or is drawing 3 cards off Giantrainer worth 1 slot in the main and 1 in the extra? I could see it going either way. Titanic is extremely good to counter Feather Duster, Dark Hole, and Book of Eclipse. You still get wrecked by a 2 card combo, but it’s just something to help stop from losing board instantly. Very True. Assuming that Solemn Judgement and Hope Harbinger are not on the field, a Harpie’s Feather Duster and a Dark Hole is all that’s needed to clean the field after completing the combo. zodiac beasts are such a big enabler for lunalights. they help fill combo pieces and lunalights are pretty good at gaming through an open/established board. not sure why they haven’t made an appearance yet.